Published by Loaghtan Books in 2012, 144 pages. Large A4 size paperback (N6715X1). Illustrated throughout with lots of black and white photographs, this book records how a British Anti-Aircraft Battery demonstrated their gunnery skills during a tour of the United States in 1943. The book is drawn from the diaries and wartime papers of one of the men who took part in the tour, Captain Clifford Cole (who was born and raised in Goole in East Yorkshire). 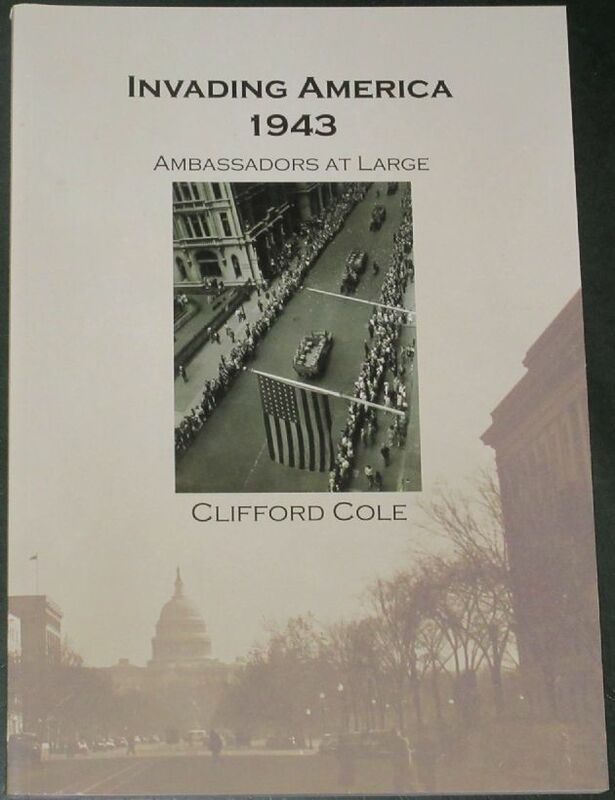 From the rear side cover: In 1943, a British Royal Artillery Battery consisting of light and heavy anti aircraft guns plus searchlights was sent on a six­ month tour of the US to demonstrate how ordinary British soldiers were fighting and winning the Second World War. They were to be the British government's ambassadors at large. America had joined the conflict eighteen months previously, yet most of the American people had been untouched by war. Roosevelt wanted to show the American people what war was like and what was needed to fight it. The 1st Composite Anti-Aircraft Demon­stration Battery RA was made up of men who had seen intense fighting, many of them in North Africa. In addition there one or two specialists, such as radar experts, whose equipment was barely off the drawing board, highly secret and not yet in use overseas.